Vitamin D insufficiency is increasingly recognized as a prevalent problem worldwide, especially in patients with a chronic lung disease. Chronic obstructive pulmonary disease (COPD) is a type of chronic inflammatory lung disease. Previous clinical studies have shown that COPD leads to low vitamin D levels, which further increase the severity of COPD. Vitamin D homeostasis represents one of the most important factors that potentially determine the severity of COPD. Nonetheless, the mechanisms underlying the anti-inflammatory effects of vitamin D receptor (VDR) in lung tissues are still unclear. To investigate the anti-inflammatory effects of VDR, we generated transgenic mice that show lung-specific VDR overexpression under the control of the surfactant protein C promoter (TG mice). 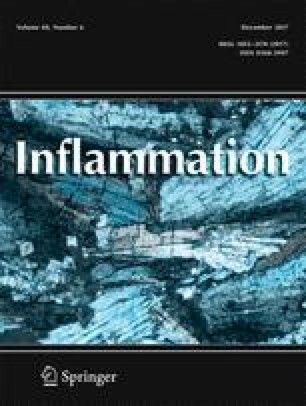 The TG mice were used to study the expression patterns of proinflammatory cytokines using real-time polymerase chain reaction and immunohistochemistry. The TG mice had lower levels of T helper 1 (Th1)-related cytokines than wild-type (WT) mice did. No significant differences in the expression of Th2 cytokines were observed between TG and WT mice. This study is the first to achieve lung-specific overexpression of VDR in TG mice: an interesting animal model useful for studying the relation between airway cell inflammation and vitamin D signaling. VDR expression is an important factor that influences anti-inflammatory responses in lung tissues. Our results show the crucial role of VDR in anti-inflammatory effects in lungs; these data are potentially useful for the treatment or prevention of COPD. The authors are grateful to Dr. Jeffrey A. Whitsett (Division of Neonatology Perinatal and Pulmonary Biology at Cincinnati Children’s Hospital Medical Center, USA) for providing the plasmids containing the SP-C promoter, the SV40 small T intron, and polyadenylation sequence. Experiments were conducted in accordance with the Guidelines for the Care and Use of Laboratory Animals of the National Institutes of Health. All the protocols were approved by the University of Tokyo Institutional Review Board for Laboratory Animal Use. This work was supported by the Grant-in-Aid for Scientific Research (C) from Japan Society for the Promotion of Science (JSPS KAKENHI Grant Number 20724438).